Rosmond Custom Homes overcame the challenges of a 9m frontage, a steep gradient and a client who wanted upside down living with this three storey home. One truth that defines the Perth property market today is that block sizes are shrinking. Lots are getting smaller. Frontages are getting narrower. 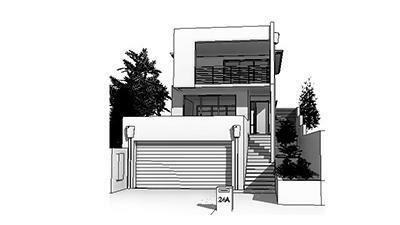 In fact, narrow lot homes in Perth with frontages as slender as nine metres are not unusual. It follows that home designers and builders have become clever illusionists who can conjure up a sense of space from the narrowest footprint. Rosmond Custom Homes has vast experience in creating stylish narrow lot homes, without compromising on lifestyle, space or luxury. At Rosmond we’ve learnt all the tricks of the trade that give narrow homes the same room to move as their bigger, wider neighbours. We’re happy to share four of our top tricks for living large in a narrow house. 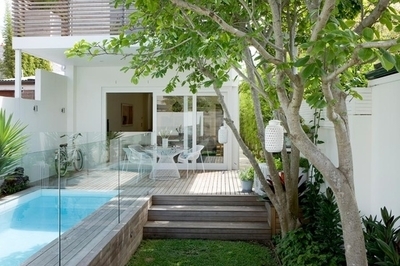 Good home designers don’t just design the home, they design the block. The importance of this is magnified when it comes to designing a narrow lot home. Every square centimetre, whether inside or out, is potentially valuable living space and needs to be carefully considered. 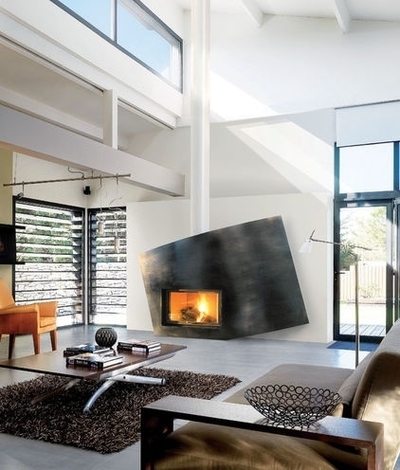 You can amplify your living space by blurring the boundaries between indoors and outdoors. Outdoor ‘rooms’ with entertaining decks, swimming pools and greenery seamlessly flow into indoor rooms and create the illusion of endless space as well as practical areas for living and entertaining in our temperate climate. Clever! Big windows and doors bring the outdoors in, suffusing your home with natural light and transforming tight spaces into light spaces. Never overlook the power of a tranquil natural outlook. Being able to look out onto courtyard and garden areas through large windows and glass doors tricks your brain into thinking you’re part of a much larger domain than you actually are. With a narrow lot you may be working within constrained parameters horizontally, but vertically the sky’s the limit. Exercise your freedom to think tall. Rosmond’s Platinum spec includes ceiling heights to 32 courses downstairs and 30 courses upstairs. You may also consider the use of even more soaring ceilings where appropriate. The extra volume makes a big difference. A narrow block probably means you’ll be living at close quarters with your neighbours. It’s always a good idea to be on friendly terms with your neighbours – and you may need to ask them to sign off on aspects of your new house plans too. Never underestimate the value of a neighbourly chat over a cuppa or glass of wine. At Rosmond we can show you a range of narrow lot home designs with front-loading and back-loading garages to suit frontages from around eight metres wide. As custom builders we can also design and build a bespoke home specifically tailored for your block and your family’s lifestyle if none of our existing designs suit. We invite you to talk to the team at Rosmond Custom Homes about your new narrow lot custom home now.